Okay, the winning is an important motivating behind playing any online slot game – online or offline. However, a theme goes a long way, admittingly, in keeping a player engaged in the game and stops the mind wanting to jump around. Chicago Gangsters holds a lot of value in the theme department because it relates back to a historical group of infamous figures that were at the forefront of rebellious actions throughout the United States in the twentieth century. Most pressing is the prohibition laws which allows the gangsters to make their fortunes through smuggling alcohol into the country, illegally. Introduce the roaring twenties, where liberal ideas are being floated in a cauldron of illegal parties and hiding from the police in speakeasies. Playson have taken on the respectable role of bringing these adventurous times to life – made famous by gangsters such as Al Capone and John Dillinger. 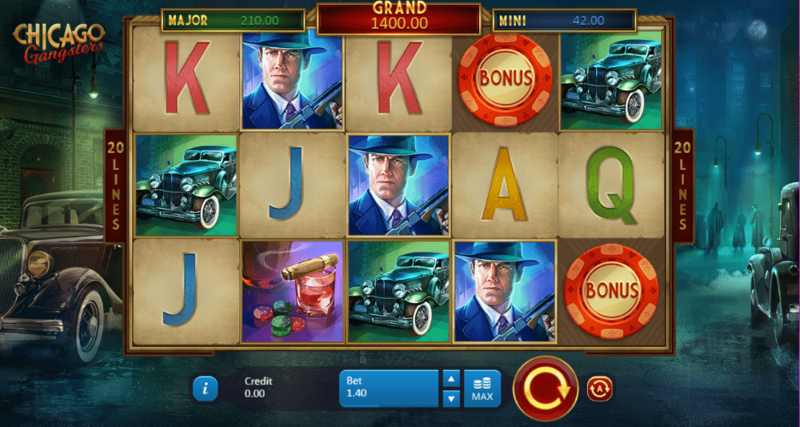 This five reel, 20 payline online slots game is an adventure to be had! Playson prides itself as being the leading developer in the online gaming industry. In doing so, it works to reach exceptional results by providing a quality user experience for its customer. The company is based in Malts but operates on a global level. The company’s success is through delivering a variety of online gaming activities and of course online slot games! The developers adopt HTML 5 technology that works effectively on different platforms. They have a workforce of over 250 developers. Much of their work concentrates on creating innovative graphics to allow their themes to stand out from competitors. Find more slot games you can play at Wizard. The graphics rightly portray a grim excitement of policemen on the hunt for the crimes that are going on effortlessly throughout Chicago. The world recognised city is brought to life in this game through a jazz soundtrack which both suits the city and a speakeasy atmosphere. In terms of graphics and display, this is one of the best video slots players must try! 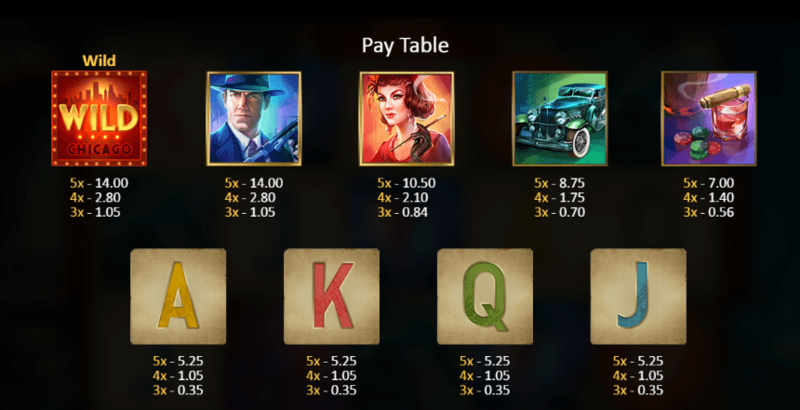 There are nine main pay symbols in the game. Jack to Aces form the lowest paying symbols here, awarding 3.5 times your original bet when five are formed on any payline. The higher paying symbol is more creative and roll out in the form of whiskey glasses, cigars, a limousine, bar lady and a frustrated policeman who is holding the traditional Tommy gun. Bonus symbols are shown through a red casino chip in the base game and will also appear green and blue and these identify fixed jackpots that are up for grabs. The wild policemen will substitute all of the other symbols except the bonus ones. On the base game, mystery symbols come in the form of playing cards. Once the reels are full, the mystery symbols will be shown and have the potential to increase winnings if you are lucky enough to cover the reels in the one symbol! Collect six of the bonus symbols in one spin to trigger the bonus game. The bonus symbols award coin wins from anywhere between 1 and 48 times the total stake! There is the option to win 1,000 x your jackpot in one single bonus game – simply cover all of the reels with the bonus symbol. Chicago Gangster holds a return to player value of 95.35% and the bets range from 0.20 – 100 coins. The maximum win is 1,353 the total bet which makes it a likeable game but perhaps not enough of a risk that the gangsters were a fan of. If you enjoyed this, why not play Cash Of Kingdoms?